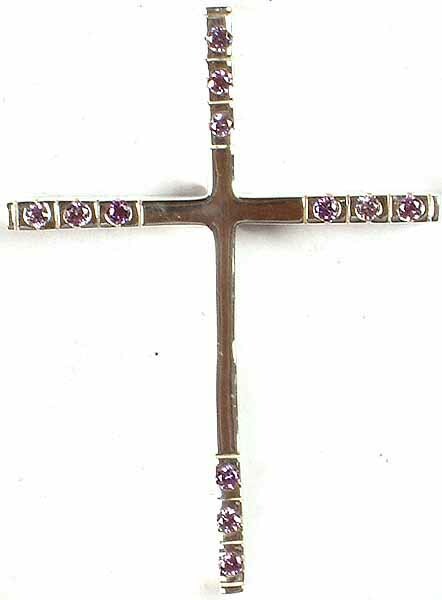 Though the prophet Isaiah castigated women who wore charms (3:20); nevertheless, the cross has developed into the principal symbol of the Christian religion, recalling the crucifixion of Jesus Christ and the redeeming benefits of his passion and death. It is thus both a sign of Christ himself and the faith of the Christians. 1). The crux quadrata, or Greek cross with four equal arms. 2). 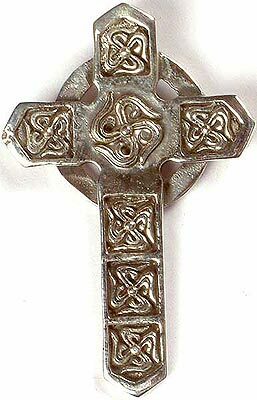 The crux immissa or Latin cross whose base stem is longer than the other three arms. 3). The crux commissa, in the form of the Greek letter tau, and sometimes called St. Anthony's cross. 4). 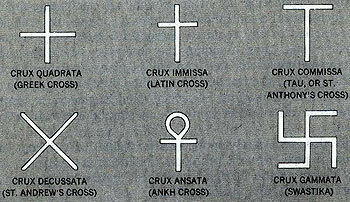 The crux decussata, named from the Roman decussis or symbol of the numeral 10, also known as St. Andrews cross. Tradition favors the crux immissa as that on which Christ died, but some believe it was the crux commissa. The cross was not the symbol of choice for the early church, for whom the crucifixion presented a problem. It had to convince unbelievers of what would have seemed a bizarre claim, that it's god was a victim of this foul, and then still very current, form of punishment. Historically, crucifixion was not a punishment meted out by the Jewish authorities, whose preferred method of execution was stoning; it was imported into Palestine by the Romans, and so was an instrument of imperialism and subjugation. Secondly, it was used in particular on slaves found guilty of a crime. Therefore, it was humiliating for Jesus the Jew to die like a slave on the Roman cross. William Blake. Moses Erecting the Bronze Serpent. c.1805. Pen and watercolor over pencil, 13 3/8 X 12 3/4"
It was only over time that Christians began to think through the implications and meanings of the crucifixion, and to glorify the cross. It seems though that Jesus always understood the cross' positive significance. He had predicted his death by such means and compared himself to the bronze snake that Moses erected during the Exodus ('Just as Moses lifted up the snake in the desert, so the Son of Man must be lifted up, that everyone who believes in him may have eternal life', John 3:14-15). The purpose of the snake was to cure people from poisoning. God had sent a plague of snakes to the Israelites but he also provided a cure, which was effected by looking at the bronze snake. 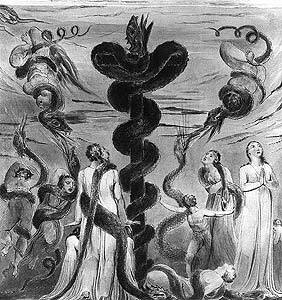 Poison is a Christian symbol for sin, and Jesus' words suggest a direct analogy between the power of the bronze snake to cure poisoning and his own potential to do the same for sin. A beautiful thing about the cross is that its center of gravity is not at its exact center, but upwards where the stake and the crossbeam meet. In simple terms it symbolizes the tendency to remove the center of man and his faith from the earth and to "elevate" it into the spiritual sphere.